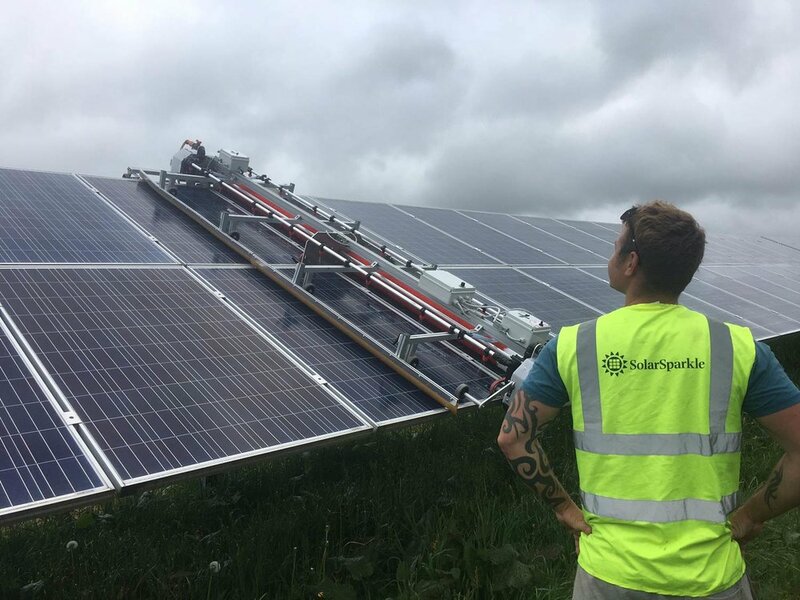 In particularly dry areas and where the panel tilt is minimal, dust, pollen, pollution and other substances such as bird or insect droppings can build up over time and dramatically reduce the power generated. We take every care to ensure that every panel is thoroughly cleaned making sure the panels are cleaned using our own filtration system that deionises the water so there is no need for high pressure water, detergents or abrasive chemicals. We use specifically designed water fed brushes for photovoltaic modules which regulates the amount of water being used. These brushes are highly effective at removing dirt and cause no damage to the panels. Other cleaning techniques where high pressure or other types of equipment can damage the panels and cells leading to ‘hotspots’.